Baked Hoisin Chicken - Moist, juicy, and delicious chicken marinated with Hoisin sauce and then baked. 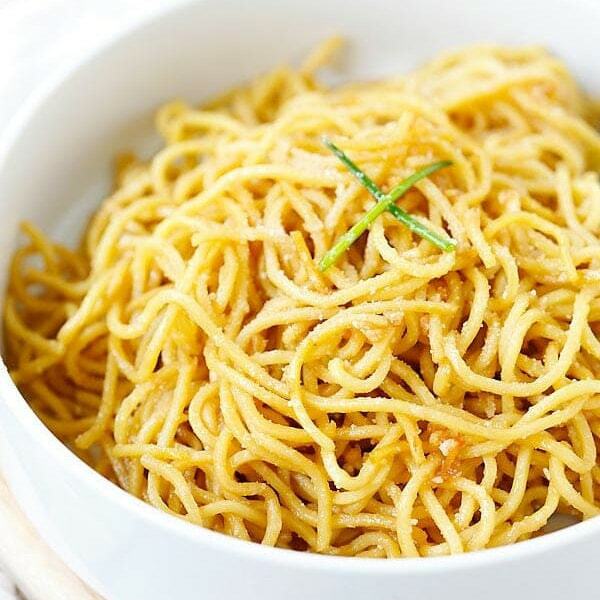 Easy recipe that anyone can make at home. Hoisin sauce is one of my favorite sauces in my kitchen pantry. When it comes to Chinese recipes, there are three sauces that are staples: soy sauce, oyster sauce and hoisin sauce. While I love the savory notes of soy sauce and oyster sauce, Hoisin sauce brings a completely new flavor profile to a dish. It’s savory, sweet and rich at the same time. 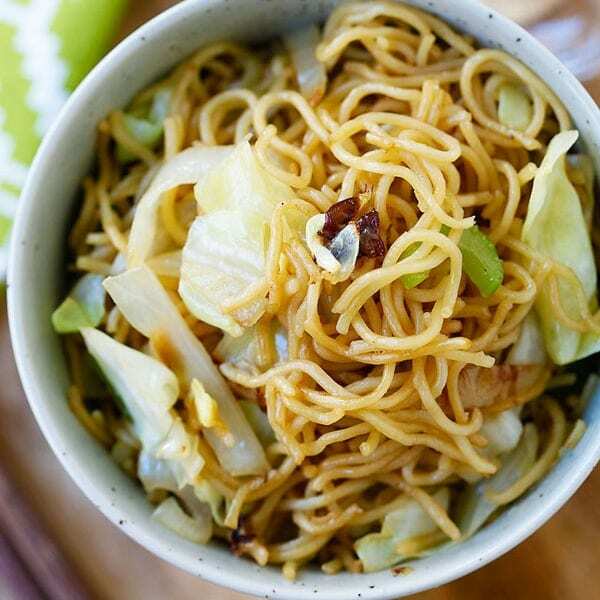 To sum up, a little bit of Hoisin sauce adds a lot of depth to the overall taste of any dish. I love it. This baked hoisin chicken features the best sauce, making the chicken extremely juicy and savory while remaining tender as well. Most importantly, you have got to try it today at home! Previously, I shared my Hoisin chicken recipe — silky, smooth, and tender chicken breast in Hoisin sauce. 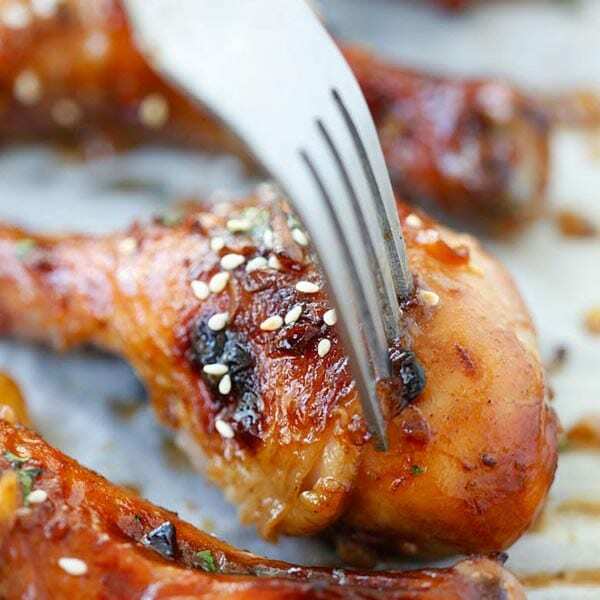 This baked Hoisin chicken takes it to the next level, by roasting the Hoisin-marinated chicken drumsticks in an oven. As a result, this baked recipe makes sure you have an extremely healthy meal to make at home. I love Asian-flavored chicken, for example, the super popular and delicious ginger garlic baked chicken and honey lemongrass baked chicken. Furthermore, you don’t even need to marinate it. 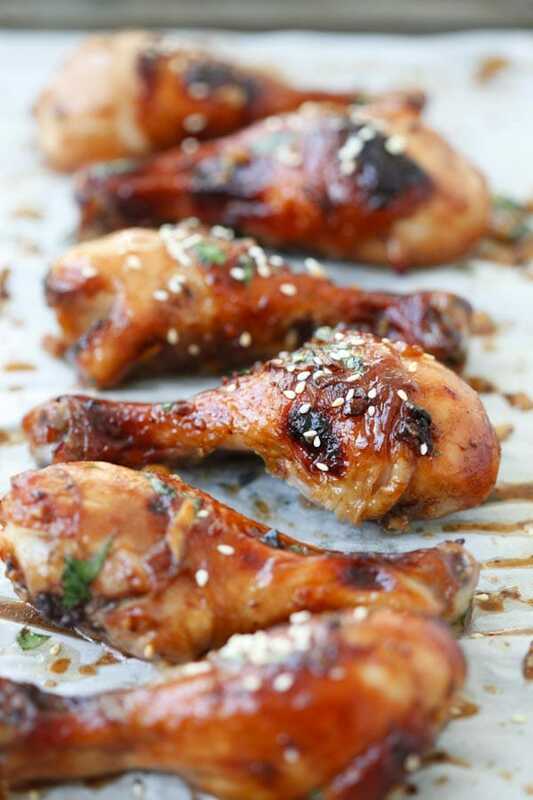 Baked Hoisin Chicken – moist, juicy and delicious chicken marinated with Hoisin sauce. Easy recipe that anyone can make at home. Combine the chicken with Hoisin sauce, soy sauce, sesame oil and pepper. Transfer the chicken to a baking tray lined with aluminum foil or parchment paper, bake for 30-35 minutes or until the inside of the chicken is thoroughly cooked and no longer pink. Broil for 1-2 minutes to get a nice charred surface. Don't discard the juice seeping out from the chicken. 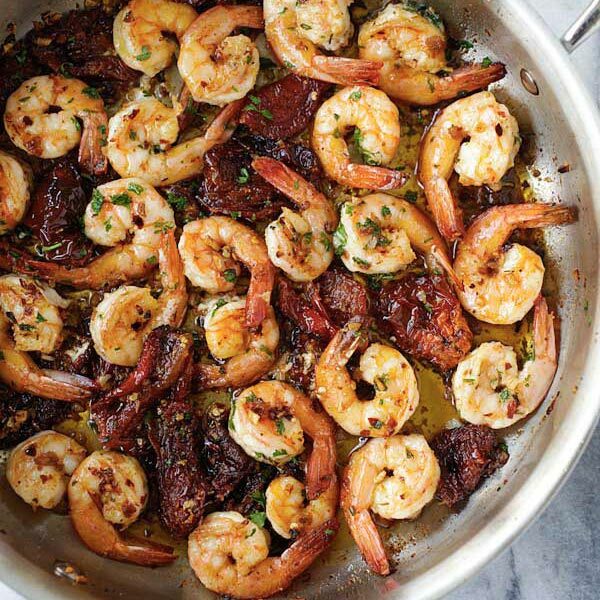 The sauce is extremely flavorful and great with rice. Hello! I love hoisin sauce and would love to make this. But I have chicken breasts in the freezer. Do you think it will work with chicken breast or will it be too dry? Thanks! Wow! 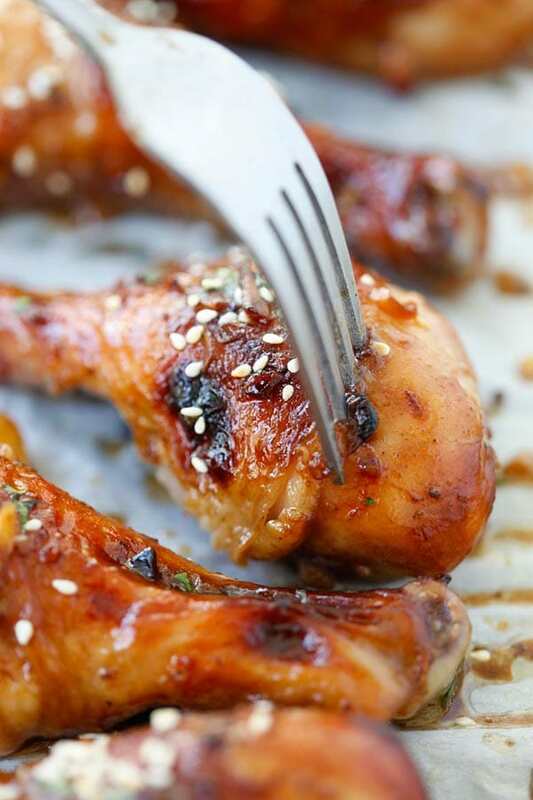 This baked hoisin chicken sounds DELICIOUS! If I opt to use chicken breasts instead, will the cooking temperature or duration change? Should I also double the quantity of sauces & oil? Depending on how big your chicken breast is just check for doneness at 30 minutes mark. The sauce depends on the weight of the chicken, if you have 3 lbs then you can double. Hi,this recipe make me hungry…can i know what type of soy sauce u use?is it the light salty one, dark salty or sweet one?tq in advance!! Made this tonight for dinner. Amazing. So easy and quick. My kids LOVED this. I used four pounds of thighs and expected leftovers for lunches this week … but it was all gone. I put the rice in the rice cooker after work, went to soccer practice. got home threw the chicken together and we were at the table 40 minutes later with little effort on my part. Do you broil on high or low setting? After baking chicken at 400F, would you take out the chicken, then preheat the oven to broil and return it back to the oven for broiling? Is that the best way? Thanks for sharing your recipes. I have both of your books and love them! Keep them coming! Hi Diana, thanks for your support. :) I am not sure about your oven setting, but mine can be set to Broil setting immediately after baking at 400F so I don’t take the chicken out. I always sit in front of the oven and watch the broiling closely so I don’t burn the skin. As soon as the skin is slightly charred, I turn off the oven and remove the food from the oven. Thanks. I’ll give that a try. I also have an option of a high and low setting in broil. Any recommendations? Sorry for the multiple questions. This is fabulous. I just made this. Even now while i’m writing this, i am eating the chicken. This one is a keeper. Thanks Bee. I’m about to try your recipe and I have a quick question. Do I have to boil the chicken before I bake? I want a melt off the bone type of chicken thank you in advanced. Great recipe! My whole family lives it, and they are not big fans of chicken legs. Thanks Rachel for trying my baked hoisin chicken recipe! Hello. I made your recipe with chicken wings tonight. They were so delicious. My 15 month old and fiancé loved them. Thank you for a finger licking good chicken recipe! Thanks Keke For trying my baked hoisin chicken recipe. Put them in the oven like 10 mins ago. They already smell soo good! Awww, thanks so much. 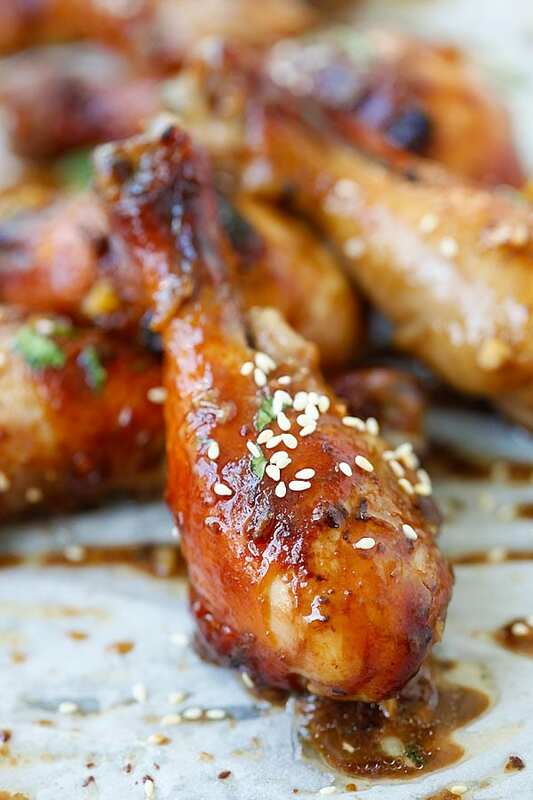 I hope you like this baked hoisin chicken recipe. can u still make this without the sesame oil?